Does your regional law firm need help with online marketing? This section is designed to help provide your firm with tips and ideas for how to market your small or regional law firm on the internet. 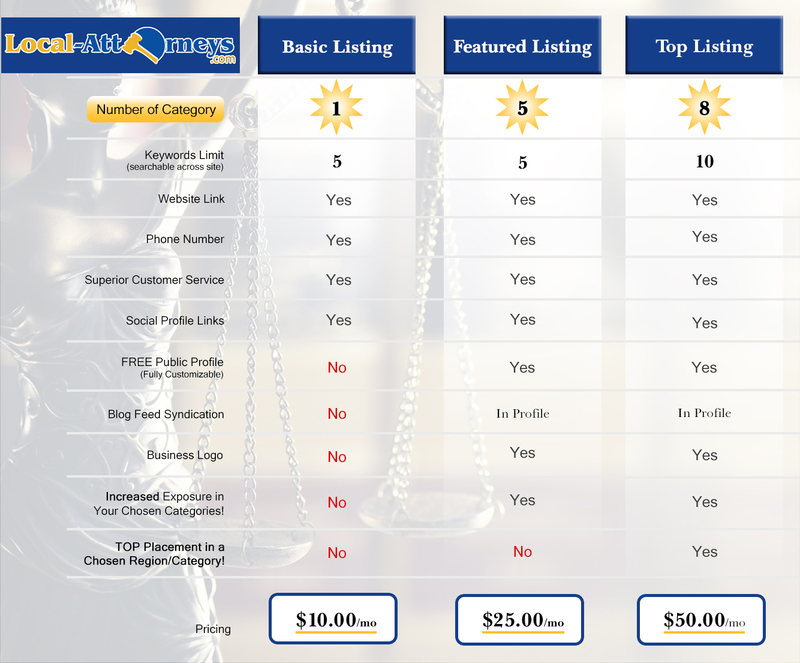 Obviously we feel one of the best things you can do to market your law firm online is to add it to our legal directory. To add your firm CLICK HERE! Do Your Legal Marketing Collateral Materials Need an "Extreme Makeover"?